Replica Super Bowl 51 Lombardi trophy measures approximately 21" in height and weighs approximately 15 pounds. Hand signed and inscribed in black felt-tip pen by Tom Brady (Patriots). 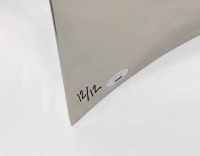 The trophy is a limited edition and has been hand-numbered #12/12. 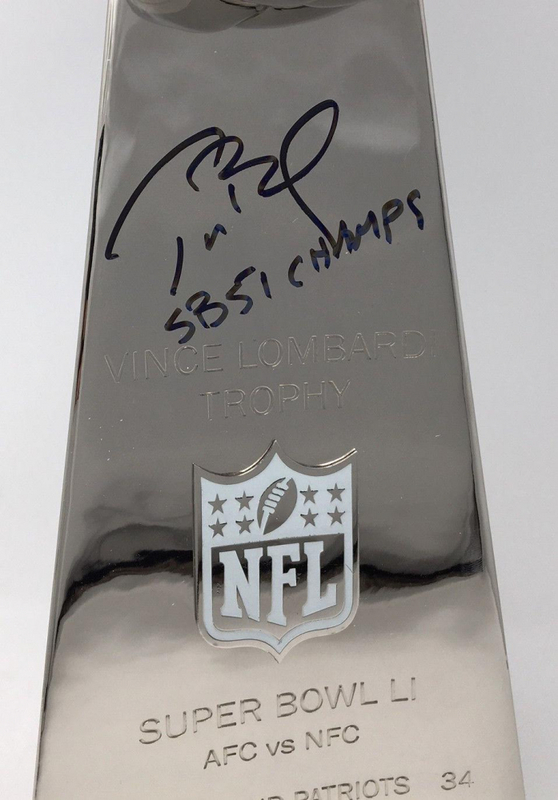 This trophy has been personally hand-signed and inscribed by Tom Brady. 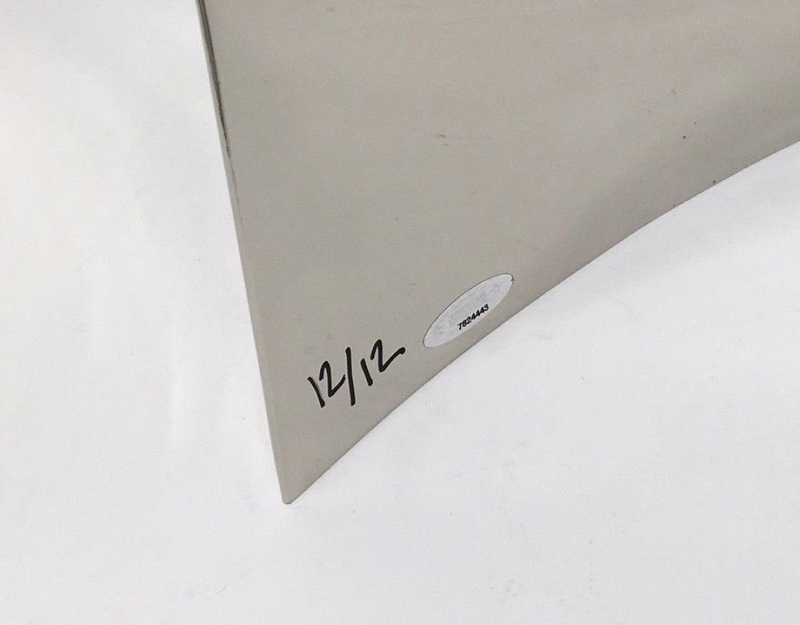 Tom Brady added the rare inscription "SB 51 Champs" just below his signature. Whether you are a Tom Brady fan or just a fan of the game, you have to know that this Super Bowl will go down as one of the best ever. Get this item while you can, they will not last long. This trophy measures just under 21 inches high and weighs approximately 15 pounds. It is officially licensed by the National Football League and comes with an individually numbered, tamper-evident hologram from TriStar Productions. To ensure authenticity, the hologram can be reviewed online. 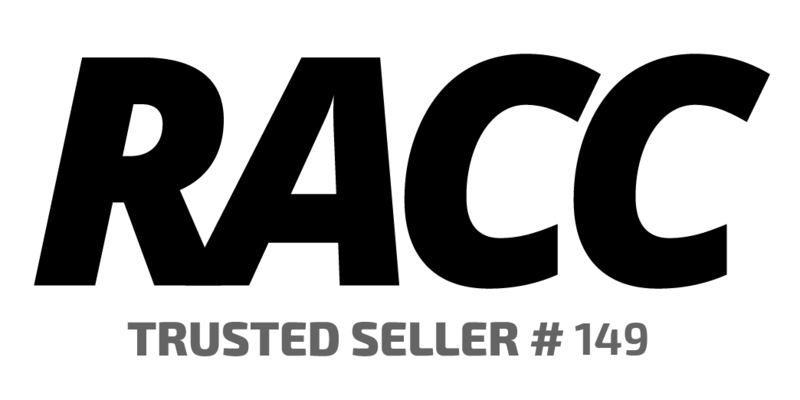 This process helps to ensure that the product purchased is authentic and eliminates any possibility of duplication or fraud. 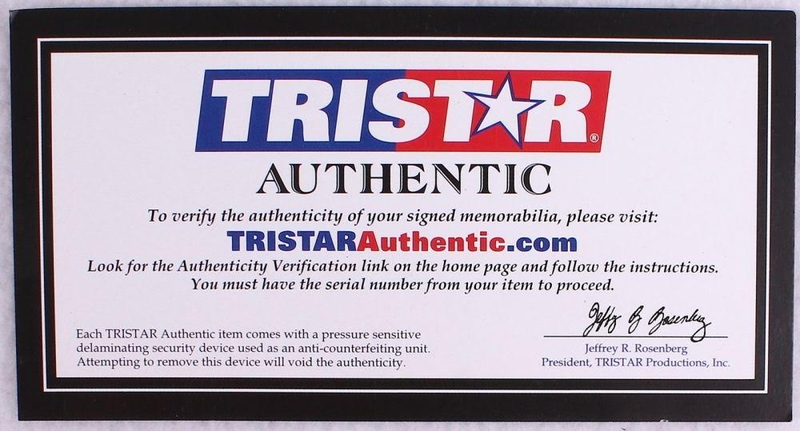 This Tom Brady product is guaranteed authentic and includes a TriStar Productions Certificate of Authenticity and an accompanying tamper-evident Hologram. These are in stock and ready to ship.